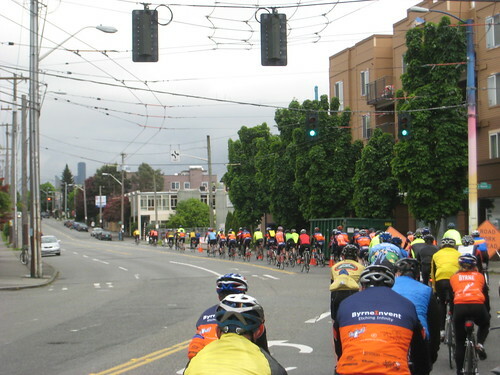 The Seattle 2009 Ride of Silence quietly rolls out from Gas Works Park at 6:30 this evening. The ride, if you aren’t familiar, is an international event intended to honor those killed or injured cycling on roadways. I participated last year and was marked by the ride. It’s a rather eery experience when a few hundred normally chattery cyclists string out along the road for a completely silent, solemn parade. Other than the whir of tires, ratcheting of freehubs, or squeals of wet, longbike disc brakes (sorry about that), it really is a ride of silence. I’m doing the dreaded beginning of the year stuff – cleaning out the closets, getting rid of stuff and reviewing our budget. In the process, I ran across our 2007 budget – it was pretty amusing to read it. The budget contained a line item for gas – $200 a month. According to my girlfriend that’s nothing – she pays $200 a week. We’ve only put 2 tanks of gas into our car since the end of August. That’s a lot of walking around money! In the wake of gas price increases, have you seen your gas expenditures go up or down? We had a great time riding to Golden Gardens today. The weather was great – (it didn’t rain), the pace was slow and the company enjoyable. We even witnessed some Christmas tree burning in the fire pits on the beach (yes, they really do burst into flames) as well as some hardy folks doing New Year’s Day polar bear swims in Puget Sound – Brrrrrrrrr. 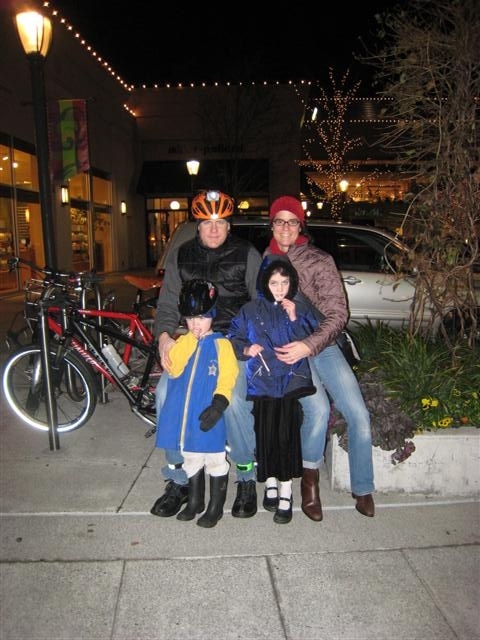 We took the kids to see Santa at University Village yesterday afternoon/evening. It started in the afternoon but ended in the evening but that’s a whole nother story that I’m trying to put behind me. Let’s just say Santa doesn’t have a very good process. The kids enjoyed it all and the four year old got to put in his Santa request for Beef Jerky so all is well. After the Santa experience, we took the long way home through Candy Cane Lane. Ester is right on – I wouldn’t want all of that traffic clogging up and polluting my street every day for 3 weeks. 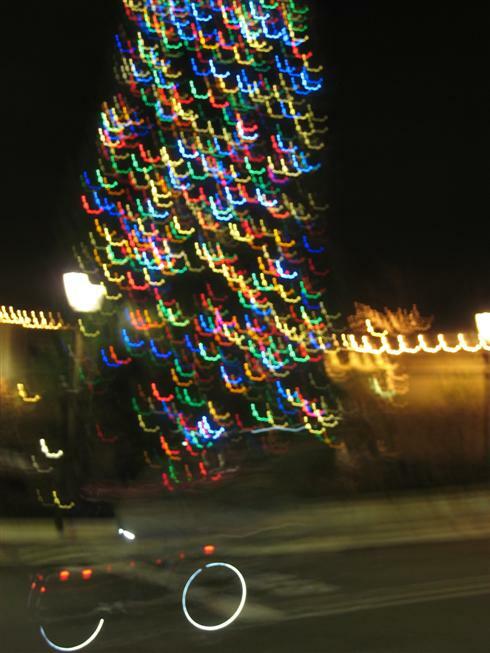 I’m sure when the tradition started 48 years ago, people walked through the loop to enjoy the lights and decorations. Now, the few hardy walkers are overshadowed by the drivers. We couldn’t help but be annoyed by the drive throughers. They wouldn’t want to get out of their car, would they? Happy Holidays and keep riding!